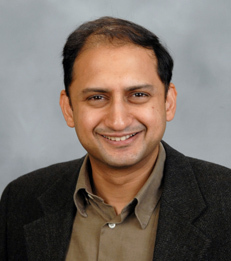 Viral V. Acharya is the C.V. Starr Professor of Economics in the Department of Finance at New York University Stern School of Business (NYU-Stern). He will be on leave starting 20th January 2017 for a three-year term as a Deputy Governor at the Reserve Bank of India. Viral’s primary research interest is in theoretical and empirical analysis of systemic risk of the financial sector, its regulation and its genesis in government-induced distortions, an inquiry that cuts across several other strands of research – credit risk and liquidity risk, their interactions and agency-theoretic foundations, as well as their general equilibrium consequences. Viral is the recipient of the the inaugural Banque de France – Toulouse School of Economics Junior Prize in Monetary Economics and Finance, 2011, and recently the 2017 Alexandre Lamfalussy Senior Research Fellowship of the Bank for International Settlements (BIS). Viral completed Bachelor of Technology in Computer Science and Engineering from Indian Institute of Technology, Mumbai in 1995 and Ph.D. in Finance from NYU-Stern in 2001. Prior to joining Stern, he was at London Business School (2001-2008), the Academic Director of the Coller Institute of Private Equity at LBS (2007-09) and a Senior Houblon-Normal Research Fellow at the Bank of England (Summer 2008).